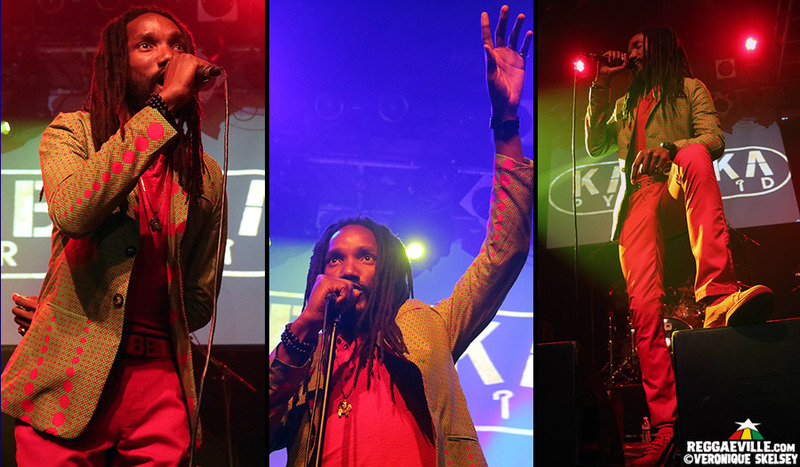 Kabaka Pyramid – the third Jamaican reggae resurgence representative to tour the UK of late – performed to a select yet enthusiastic crowd at Islington Academy on Thursday night. Originally planned for Brixton Electric the succeeding week, the show had moved to a smaller venue and more favoured date. Following recent sell outs by Chronixx and Protoje, the 800 capacity Academy was about half-full. But those who came sang enthusiastically to a set that mixed Kabaka and his Bebble Rockers band’s love of reggae, hip hop and dancehall; his own catalogue and those of his formative favourites. The sound was a little piercing up top and muddy below – yet clear enough to suffice. He also connected using his lighter side. He joked that “Wenger messing up my life” regarding his beloved Arsenal’s fortunes. During Chronixx combination Mi Alright – the first tune to wheel - he challenged those singing along, asking if they had ever bathed in a river (ironically, river-swimming is now a trend among London’s bourgeoisie). Phase two of the mission shifted from reggae to hip hop. Kabaka rapped convincingly in a US accent over the rhythm to Still D.R.E. ; shared his combo with London’s Akala, Giants, sung by special guest Marshall; and faced down his guitarist Shackair McQueen for his Accurate Mixtape self-battle Kabaka Vs Pyramid, based on Biggie Smalls’ Gimme The Loot. The energy ignited in dancehall with the mixtape’s Ring The Alarm/Stalag, and a vicious Lock Down Di Place bearing choice verses by Capleton, Sizzla and Buju. Kabaka was demanded back to the stage for Prophecies – reviving poetess Fabian Miranda’s 1977 classic – the vocal hook recreated by backing singer Nicolene Brown. The encore included signature song Well Done - which seemed aimed straight for the Brexit government’s head. Only one unreleased nugget was revealed from forthcoming album Contraband. Friends Like These - about false companions - was a departure from the political to the personal. “Not every song has to be deep and bun fyah. Some are everyday reality”. The huge cheer for current single Can't Breathe - as big as for any cover or collab – suggested that while there is still work to be done in the notoriously conservative London market, his direction and hard graft are paying off. 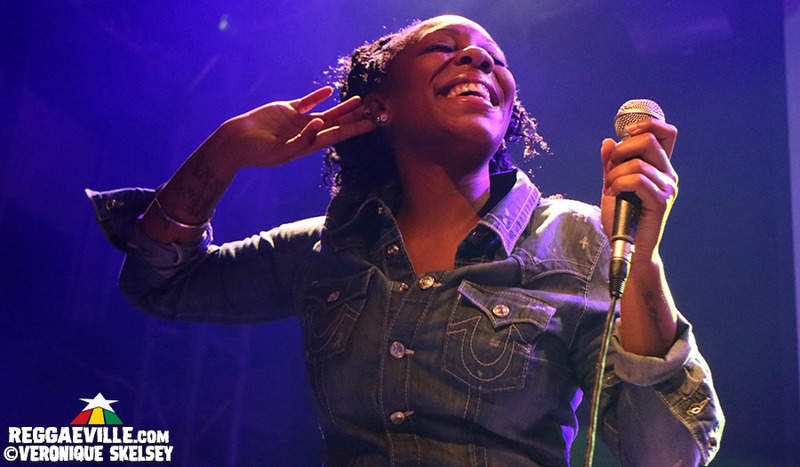 Opening support came from Dennis Brown’s sunnily disposed daughter Marla singing her own and dad’s material (we’re still waiting for a live link up with Kabaka on their Hunt You Down). Yearning voiced singer/deejay Randy Valentine was another cheerful presence, belting out Sweet Reggae Music and Lock Me Up off debut album Break The Chain and Mama Said and Wake The Town from follow up Still Pushing. Both were backed by London’s Soul Rebel band. Host Seani B was so impressed with Randy’s hat that he asked to borrow it for Shabba’s show the next weekend.